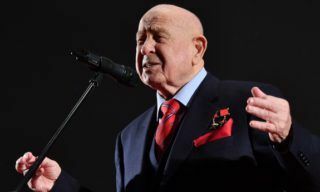 On Wednesday, May 30, the cosmonaut, twice Hero of the Soviet Union Alexey Leonov celebrates his birthday. 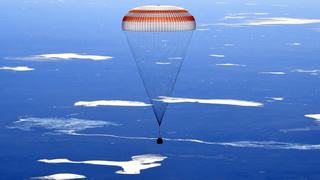 Russian Satellite Communications Company plans to launch satellites by Proton boosters only up to 2020, - Company’s Director General Yuri Prokhorov said. 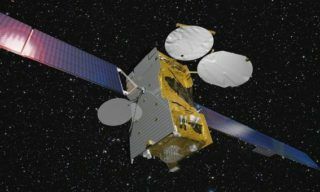 Russian state operator Satellite Communications Company put Express-AM8 into operation. 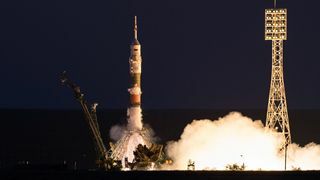 “Upon completion of orbital testing Russian telecommunication satellite Express-AM8 was put into operation on December 1, 2015” – says official report. 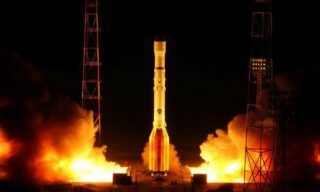 On September 14, 22.00, Moscow time, Roscosmos, Khrunichev Centre and other Russian space industries launching crews successfully launched Proton-M booster with DM-03 upper stage and Express-AM8 telecommunication satellite from #81 launchpad of Baikonur spaceport. 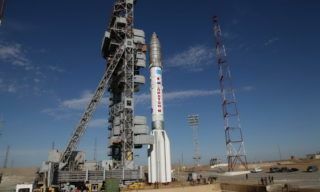 The first Proton-M booster launched after spring accident may orbit Russian Express telecommunication satellite, - Roscosmos Head Igor Komarov told the journalists. 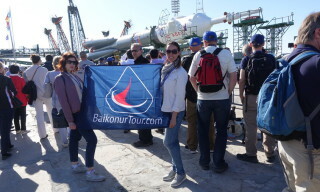 "Late this week Khrunichev Centre is to submit a plan that will enable to determine precise dates of Proton booster next launch", - he said. 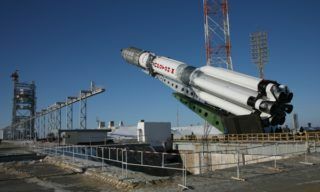 Preparation works for the launch of Proton-M booster with Briz-M upper stage and Russian Express-AM7 satellite started at Baikonur spaceport Khrunichev centre press office reports. 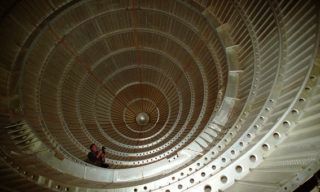 At the present time the specialists accomplish works on autonomous preparations of Proton-M booster and other compounds of the payload. 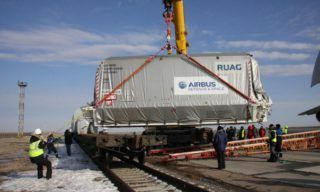 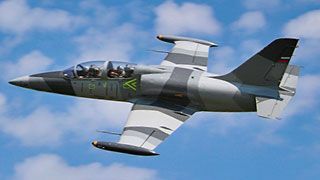 On February 19, 2015 Express-AM7 telecommunication space device and complex of service equipment were delivered to Yubileyny airfield complex where all necessary customs procedures were accomplished. 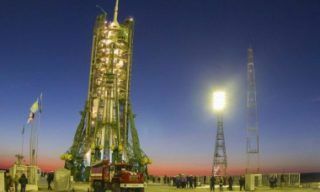 At the present time the satellite is kept in the integration building of #50 launchpad where it will be prepared for the launch. 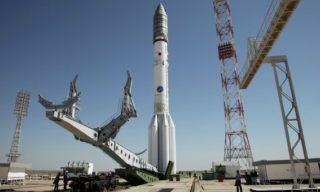 Three Express satellites are planned to be launched this year, - Space Communications Federal State unitary Enterprise Deputy Director General Evgeny Buidinov.